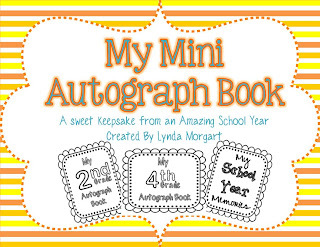 Blog Hoppin': Mini Autograph Book for the End of the Year! I am so excited to use this with my kinders!! So cute! They get so excited to do autographs, it cracks me up :) I just posted a linky party for end of the year activities on sale if you wanted to link up!